VAN WIE FINANCIAL | FEE-ONLY. FOR A REASON. 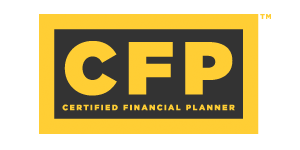 Steve Van Wie, CFP®, and Adam Van Wie, CFP® are fee-only, fiduciary financial planners located in Jacksonville Beach, FL. Whether you are heading into the office or enjoying your retirement, you need confidence that your financial advisor is attending to your needs - tax, estate, insurance, college planning, and a carefully structured portfolio. We take care of all the details of your financial life, so the you can focus on living your life. At Van Wie Financial, our goal is to help you achieve your goals and dreams through highly personalized, full-service financial planning and investment management. As independent, fee-only advisors, we sell no products, make no commissions, and work only for you - our client. As a father-son team, we understand the importance of family. We get to know our clients and their families so that we can best serve them as the years go by and the circumstances of their lives evolve and change. Our boutique service means we truly make ourselves available to our clients whenever it is convenient for them. We understand that life does not just happen between 9-5, and we are dedicated to being there when you need us. Because there are many factors that may change in your situation or the environment, it’s of the utmost importance to us to be proactive and knowledgeable in the financial industry. We work closely with your legal and accounting professionals when needed. We are committed to staying up-to-date on relevant tax, estate and social security laws in order to provide you with the best financial advice for your particular situation. We are 100% focused on your needs, and truly believe that your investment and financial plan should revolve around you, without any conflicts of interest. As independent, fee-only, Certified Financial Planners®, we have a fiduciary responsibility to always place your interests ahead of our own. 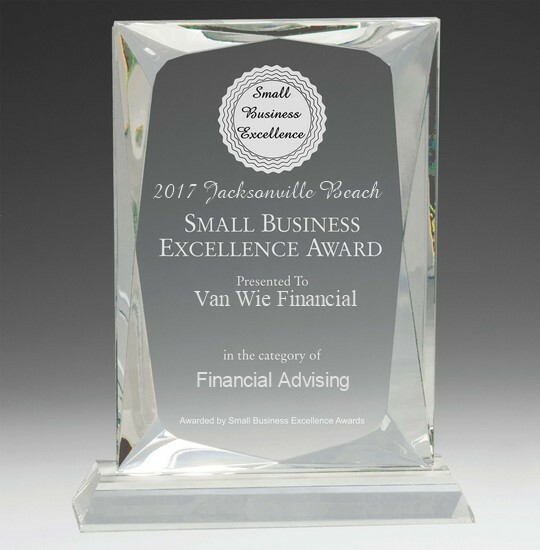 "Steven H. Van Wie, a fee-only financial planner in Jacksonville Beach, Fla., has struggled to find affordable plans he feels comfortable recommending to his small-business clients. 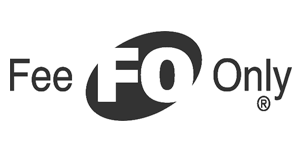 He is intrigued by some of the new offerings, though he wishes the companies more prominently disclosed the details of their portfolios. Finding out that Honest Dollar and ForUsAll use Vanguard funds (Ubiquity’s mix includes Vanguard along with Schwab and Barclays) requires digging deep into the fine print of their sites. We support the FAIRtax! Here is a short video showing what it is all about. If you have any questions, please feel free to contact us at info@vanwiefinancial.com. We cover everything from current trends and topics in financial planning to investments and your portfolio. We also discuss timeless issues such as major purchases, savings strategies, and Social Security claiming possibilities. Get to know us by tuning in every Saturday morning at 10:00 AM. Get your finance and investing questions answered - call us during the broadcast at 904.222.8255. Our Podcasts are available at iTunes, Stitcher, TuneIn Radio Podcasts, Google Play Podcasts, iheartradio Podcasts , Soundcloud, and the WBOB Website. Listen to the latest Van Wie Financial Hour Podcast - Now commercial-free! Below is a selection of our latest podcasts. Our full podcast archives are available at iTunes, Stitcher, TuneIn Radio Podcasts, Google Play Podcasts, iheartradio Podcasts , Soundcloud, and the WBOB Website..
Steven H. Van Wie has been a CFP® professional since 2001. 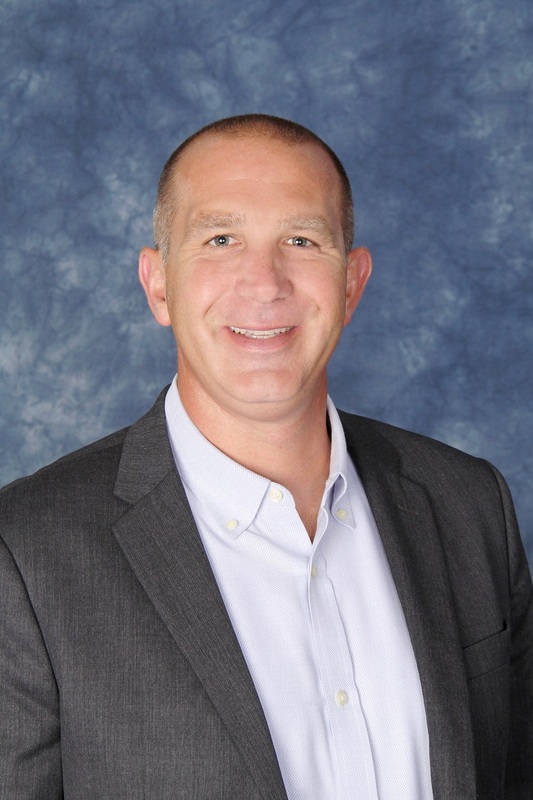 He is the founder and President of Van Wie Financial, and the host of the Van Wie Financial Hour on Jacksonville’s Newstalk 101.1 FM and 600 AM. Prior to his financial advisory career, Steve was the owner and CEO of several manufacturing concerns. He has also been employed as a computer programmer, and spent years as a Management Consultant to small businesses and local governments. Steve received his M.B.A. from the University of Wisconsin – Milwaukee, where he had previously received a B.A. in Mathematics, with a minor in Economics. Steve is a Certified Mutual Fund Specialist (CFS®), and was a Registered Professional Engineer (PE) in the State of Wisconsin. 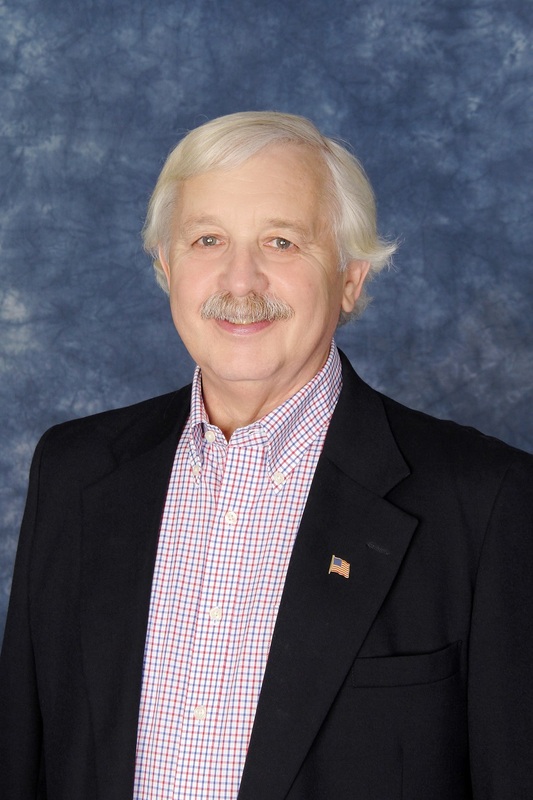 He has served as Expert Witness in an Equal Pay dispute, and was a contributing financial writer for Florida Coast Living magazine. He was formerly with another RIA firm in Jacksonville, FL, where he made frequent appearances on their radio show. Steve is a native of Wisconsin, born on June 28, 1950, and has lived in Ponte Vedra Beach, Florida, since 1992 with Sarah, his wife of more than 45 years. His hobbies include reading, writing, and visiting his children and grandchildren. 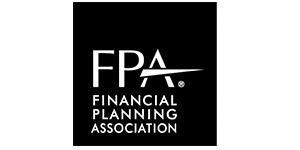 He is a long-time member of the Financial Planning Association (FPA) and the National Association of Personal Financial Planners (NAPFA). Adam D. Van Wie is a CFP® professional and the Chief Operating Officer of Van Wie Financial. Adam is the co-host of the Van Wie Financial Hour on Jacksonville’s Newstalk 101.1 FM and 600 AM, WBOB. Adam offers comprehensive financial planning, issue-based consulting, and asset allocation and management services to his clients. Prior to his financial advisory career, Adam worked for several Fortune 500 companies in a combination of finance, sales, consulting, and management jobs. Adam received his undergraduate degree in Mechanical Engineering from Tulane University with a minor in Business Administration, and his MBA from Emory University. 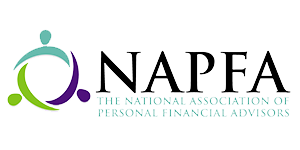 He is a member of the Financial Planning Association (FPA) and the National Association of Personal Financial Planners (NAPFA). In addition, Adam sits on the board of directors of the Financial Planning Association of Northeast Florida. Adam is a native of Wisconsin, and moved to Florida in 1992 with his family. He has a wife, Jessica, and two young children, and currently lives in Jacksonville Beach. Outside of work, you will frequently find Adam surfing, coaching his childrens soccer teams, and enjoying the outdoors in beautiful Northeast Florida. We take an educational approach to financial planning, as we strongly believe that our clients need to be informed to make the best possible decisions. We help you understand all of your options and the various implications of your choices. By using the leading research and reference tools, a network of allied professionals, and our combined 20+ years of experience in the industry, we provide an array of comprehensive financial planning strategies. Investing is a long-term endeavor. Whether you are investing for retirement, college, or another objective, we will create a customized portfolio to fit your personal financial situation. Our process begins by determining your goals and risk tolerance, developing an asset allocation strategy, and then choosing the appropriate investments. We consider a variety of investment products to help meet your needs and situation. We also ensure that your plan is sophisticated enough to coordinate with your overall plans for taxation, retirement, insurance, estate planning, and business objectives. Substantial savings often result from just a little effort at better tax planning; putting more money in your pocket throughout the year instead of Uncle Sam’s without incurring penalties. Our recommendations are made with a consideration for their tax impact, and we will discuss tax saving strategies and their implications throughout the financial planning and investment process. Some situations require long-range tax planning, including offsetting capital gains with capital losses, all while taking advantage of all deductions and credits that you are entitled to take. We will work closely with your tax professional to provide all pertinent data for tax preparation. Our ideal client is not a super wealthy CEO or movie star. In fact, our ideal client is probably someone a lot more like you than you might think. We specialize in 2 areas. One is soon-to be or currently retired couples or individuals, and the other is what we call upwardly mobile members of Generations X, Y & Millennials. The soon to be retired demographic is usually 50+, owns a home, has kids who are out of the house or soon to be out of the house, and has a nice 401k at work and maybe a few IRAs. This group needs a financial planner to help them ensure they are on track to retire when they want to and how they want to. The Generation X, Y & Millennial group is not as far along in their career or their savings, and most likely has higher expenses due to having young children, a mortgage, and all the other expenses that hit during that time of your life. However, that is when having a financial planner can benefit you the most by helping you set and realize realistic retirement and college savings goals, and making sure you are invested properly to reach those goals. If this sounds like you, set an appointment with us by clicking the link below! We utilize a third party app, Riskalyze, to best understand your financial situation. 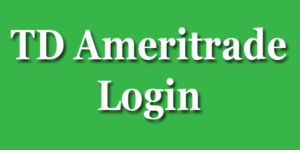 With this app, we get a comprehensive and complete analysis of your specific risk tolerance. This helps us, and you, clearly understand your current financial situation. It also provides us with vital information that we then use to prepare your financial plan and investment strategy. Complete our risk assessment to get an idea if your portfolio matches your risk tolerance. Geared toward younger individuals or families that need some financial planning advice, but don’t have complicated financial planning or investment management needs yet. Geared toward those with more significant financial planning and investment management needs, such as those that are considering life after their career or small business owners. We are sure you have questions, and we’d like to answer them. We encourage you to contact us for references or any questions you may have about our company or working with us.